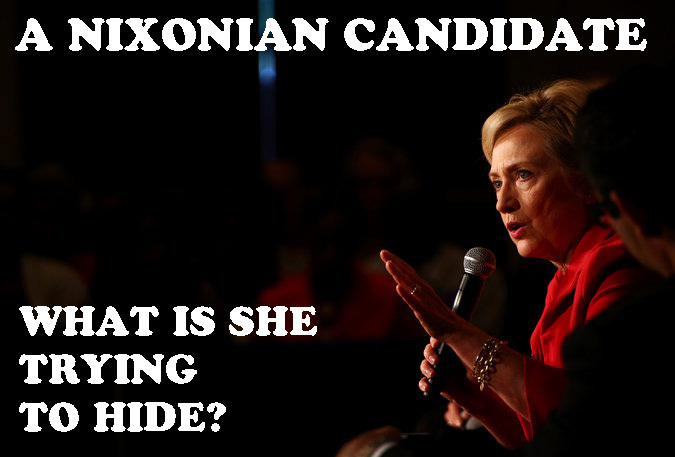 HILLARY CLINTON: A NIXONIAN CANDIDATE – TRUTH IN MEDIA: TRUTH TRUMPS POWER EVERY TIME! 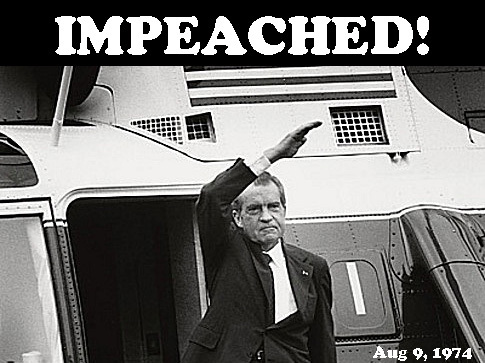 On November 17, 1973, the White House informed Federal District Judge John Sirica that the 18 1/2 minute Nixon-Haldeman conversation of June 20, 1972, had been erased. It seems so. Hillary Clinton had deleted 32,000 emails from her server before turning over 55,000 emails to the State Dept and the courts. That’s destroying evidence, just like Nixon did with his tapes. Hillary Clinton may face a criminal investigation by the Justice Department over her use of a private email address while she was secretary of state, according to a report. The New York Times said late on Thursday that two inspectors general had asked for the investigation. Revelations that the Democratic presidential hopeful used a private email account on a server hosted in her home in Chappaqua, New York, have led to months of scrutiny both in the media and by a congressional committee tasked with investigating the 11 September 2012 terrorist attack on the US consulate in Benghazi, Libya. While Clinton has long maintained that she did nothing wrong in eschewing State Department email in favor of her own personal address hdr22@clintonemail.com, political opponents have alleged that this account was used to shield her from scrutiny under the Freedom of Information Act, as well as by Congress. In a March press conference at the United Nations, Clinton insisted she only used the address for “convenience” so she wouldn’t have to carry two phones. Clinton subsequently turned over 55,000 pages of emails for release, comprising roughly 30,000 individual messages to the State Department, but deleted 32,000 more emails from her server, stating that they were personal in nature. 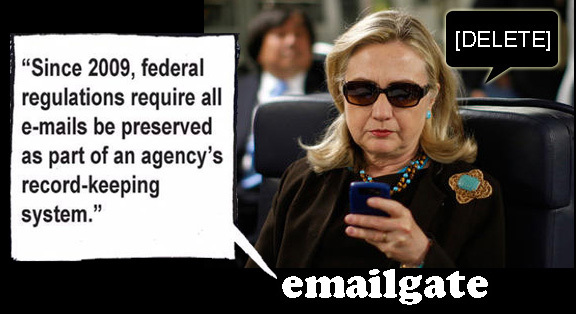 The former secretary of state also maintained no email to or from her personal account contained classified information. According to the New York Times, government inspectors general identified hundreds of emails that potentially contained classified messages. The decision on whether to move forward with an investigation lies with the attorney general, Loretta Lynch, and carries risks for the Obama administration. Should an investigation go ahead it might turn up even more embarrassing information about Clinton’s tenure as secretary of state. However, should the Justice Department decide not to investigate it could lead to accusations of a politically motivated cover-up in an election year. Karen Lynn Does anyone really think this DOJ or the mainstream media will ever find her guilty??? Bob Altzar Djurdjevic Highly unlikely, Karen. I agree with you and Eric. But that’s also what Nixon thought. No empire is forever. And they all start to crumble with a tiniest of cracks. That’s what history teaches us. Did you ever thing the Soviet Union would collapse so quickly after 70+ years? I didn’t. Pingback: THEY BROUGHT JIHAD TO EUROPE – TRUTH IN MEDIA: TRUTH TRUMPS POWER EVERY TIME! Pingback: HILLARY’S “RUSSIAN RESET” GAFFE: STUNNING EXAMPLE OF STUPIDITY AND INCOMPETENCE – TRUTH IN MEDIA: TRUTH TRUMPS POWER EVERY TIME! Pingback: TRUMP’S CAMPAIGN SONG: “I DID IT MY WAY” – TRUTH IN MEDIA: TRUTH TRUMPS POWER EVERY TIME! Pingback: CHRISTIANITY UNDER SIEGE (II) – TRUTH IN MEDIA: TRUTH TRUMPS POWER EVERY TIME! Pingback: “DON THE CON” – TRUTH IN MEDIA: TRUTH TRUMPS POWER EVERY TIME!